California's Channel Islands National Park is made up of five separate islands — Anacapa, Santa Cruz, Santa Rosa, San Miguel, and Santa Barbara — all stunning in their own rights. Explore these rich lands of wildlife, flowers, plants, and stunning views. The national park designation protects not only each island, but also six nautical miles around the isles, protecting giant kelp forests, fish, plants, and other species of the sea. This translates to endless opportunities for bird watching, whale watching, camping, hiking, fishing, scuba diving and snorkeling. Each island is a new land to discover. A permanent ranger lives on each island and can serve as your best resource of information. So hit them all, but make sure you save time for some underwater exploration. Two of the islands in this unique national park – Anacapa and Santa Barbara- were first designated national monuments. They served to protect the wildlife – nesting birds, sea lions, seals, and other threatened marine animals. In 1978, The Nature Conservancy and the Santa Cruz Island Company partnered to protect and research most of Santa Cruz. That same year, the ocean six miles around each island was designated as a National Marine Sanctuary. All five islands, and the sea around them, were established as a national park in 1980 with continued efforts for ecological research. Today, the park actually manages a long-term ecological research program which some consider the best in the park system. The park is open year-round. Boat schedules are at their peak during spring and summer. Those look for the best times for whale watching should plan anytime from late December through March. July and August are also good times for whale watching. US 101 will take you to Ventura. If you are heading north, take the exit at Victoria Avenue and follow park signs. If you are heading south, take Seaward Avenue. The Visitor Center is located on Spinnaker Drive. It’s a great place to start and find out information on boat schedules. There is no entrance fee into the park. There is a $15 a night charge for camping on the islands. Keep in mind most boat trip to the islands do charge fares. Trips to islands require advanced planning. Take all necessities, especially food and water, as well as extra clothing. Anacapa Island: As the closest island, located 14 miles from Ventura, it offers a lot for visitors with time constraints. 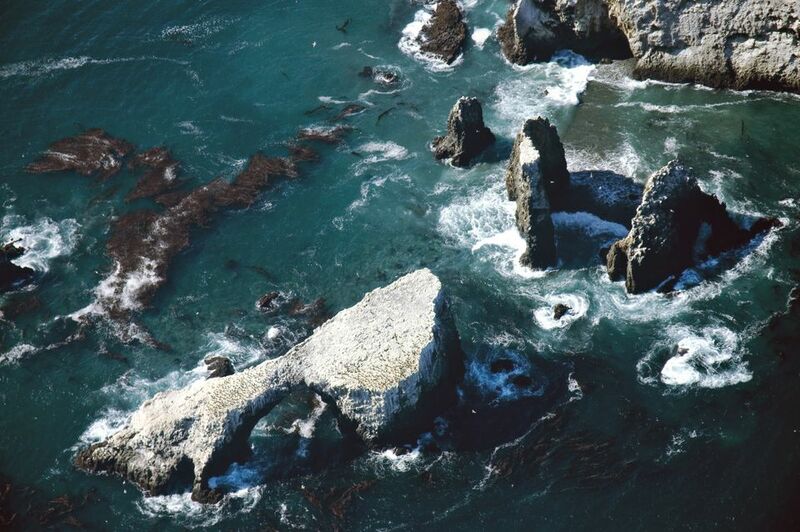 You can scuba dive in Middle Anacapa or check out California sea lions resting on Arch Rock. Nature walks and guided ranger tours are also a great way to explore the island’s vegetation. Santa Cruz: Located 21 miles from Ventura, this is the largest of the five islands. Visitors are allowed on the eastern end of the island as The Nature Conservancy has put strict visitor limitations. Keep an eye out for distinct species like the island fox and island scrub jay. Santa Rosa: It is believed that people may have lived on this island as long as 13,000 years ago. Located 45 miles from Ventura, this island is home to more than 195 bird species and 500 plant species. Santa Barbara: If wildlife sighting is on your to-do list, you will need to travel the 52 miles from Ventura. In the spring, the island’s steep cliffs showcase the world’s largest breeding ground for Xantus’s murrelets. In the spring and summer, you can also spot sea lions and sea pelicans. San Miguel: Fifty-five miles from Ventura, this island is home to five different seal species. Check out Point Bennett where at one time, 30,000 may haul out at once. All five campgrounds have campgrounds and have a 14-day limit. Permits are reservations are required. Keep in mind, these are tent sites only. Nearby hotels are located in Ventura. The Bella Maggiore Inn offers 28 affordable rooms ranging from $75-$125 per night. The Inn on the Beach is a great stay for $129-$195 a night. For those looking for a unique stay try La Mer European Bed & Breakfast. It holds six units for $115-$235 per night. Los Padres National Forest: This forest preserves a vast area of central California coast and mountain ranges that stretch over five counties. If you plan to visit the 1.7 million acres, take the scenic route on the Jacinto Reyes Scenic Byway (Calif. 35). Activities include camping, backpacking, and hiking. Santa Monica Mountains National Recreation Area: Government and private efforts preserve this area and all if it’s cultural and natural resources. From rocky canyons to snady beaches, there is so much to enjoy. Activities include hiking, mountain biking, horseback riding, and camping. Both companies offer boats to Santa Cruz as well, but landing permits are required. Contact The Nature Conservancy at 805-642-0345 for more information.